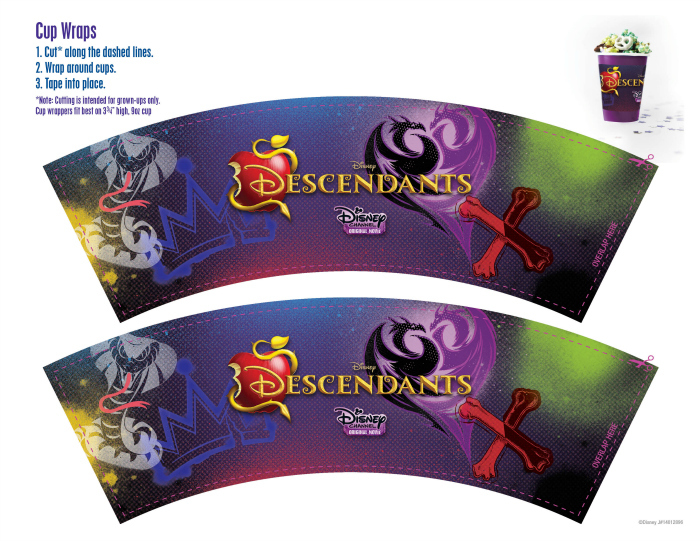 Since the Disney Channel Original Movie Descendants premier last July (2015), we’ve been Disney Descendants fans! We bought the movie when it released on DVD for a special family movie night! 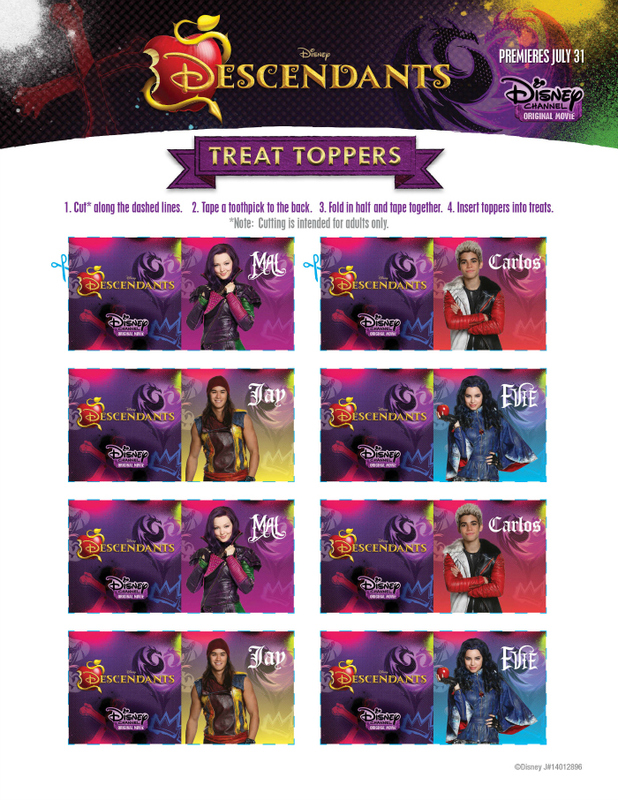 We made cupcakes and fun Disney Descendants cupcake toppers to go with them. I also revealed my favorite Disney Descendants character! Revisit our Disney Descendants movie night post here! 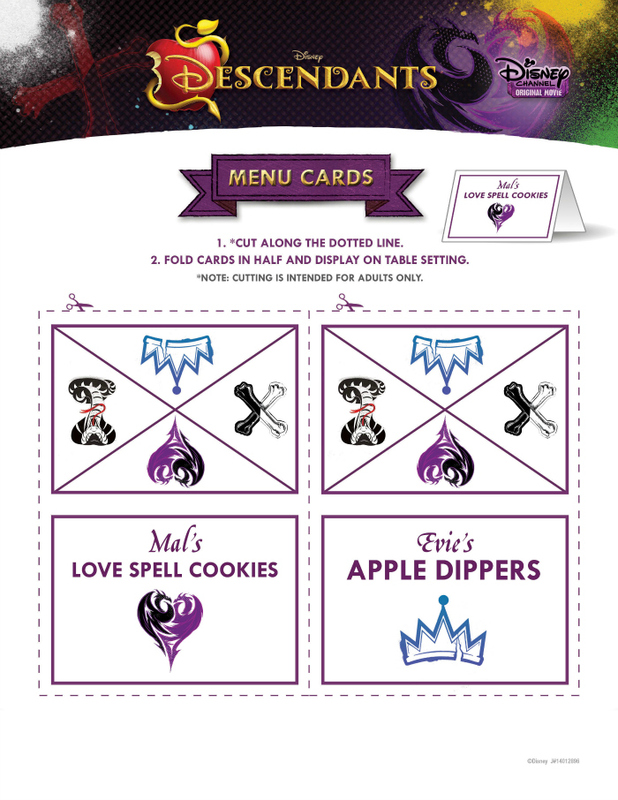 We also shared a fun collection of Disney Descendants activity sheets to complete as you watch the movie! We’ve heard that a Disney Descendants sequel is coming in 2017, and we can hardly wait! In the meantime, we’re loving the new Disney Descendants Wicked World animated shorts. We invite you to fall in love with the kids of some of the most well-known Disney villains. 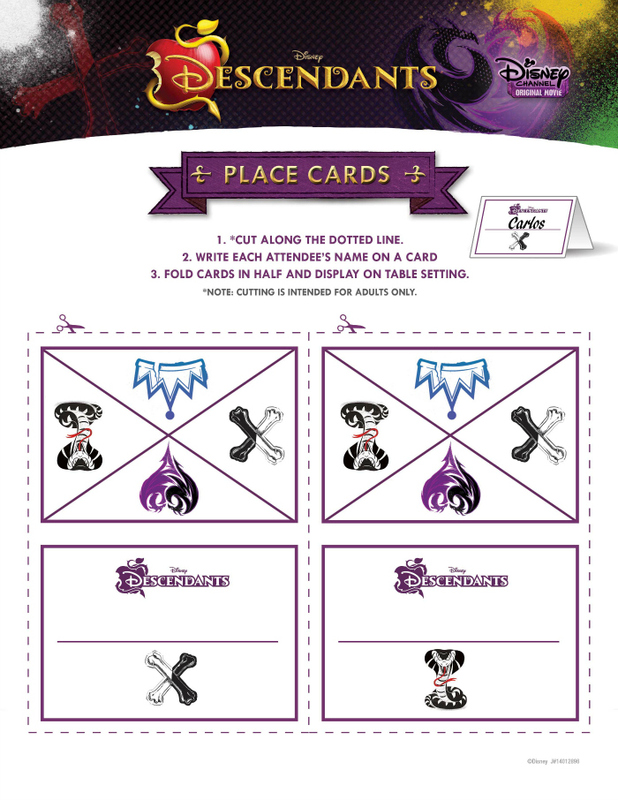 We’re excited about this next set of Disney Descendants party printables. 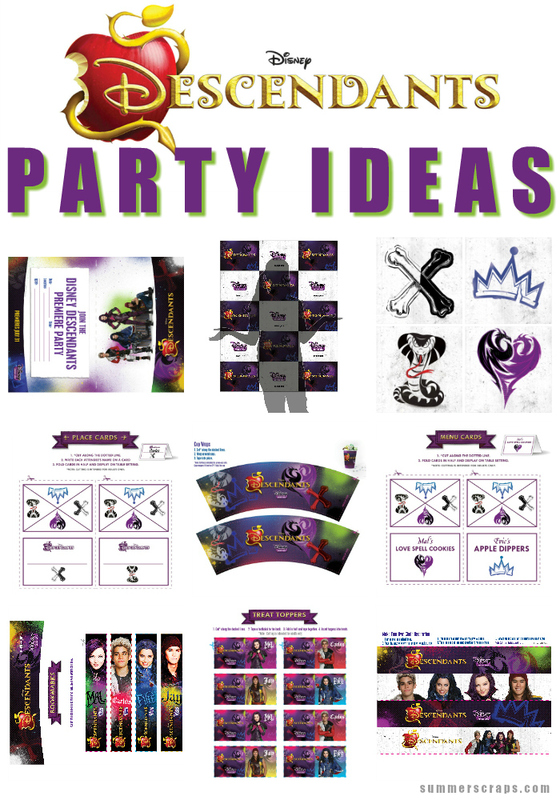 Throwing your next Disney Descendants-inspired party just got a whole lot easier (and more affordable) with these free printable party accessories, decorations and favors! While the movie premiered in July (2015), you can invite your friends over for their own premiere! 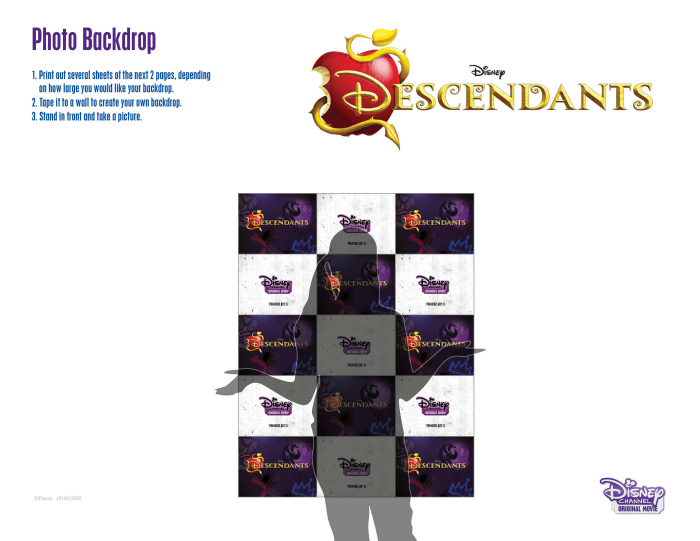 With a few Disney Descendants props of your own and this photo backdrop, you can dress the part! Decorate with the icons of your favorite Disney Descendants characters! Direct your special guests to their place at the table with these tent place cards! 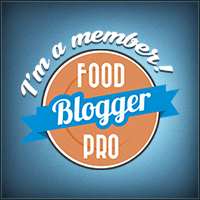 Get the look of a custom printed cup with these simple cup wraps! 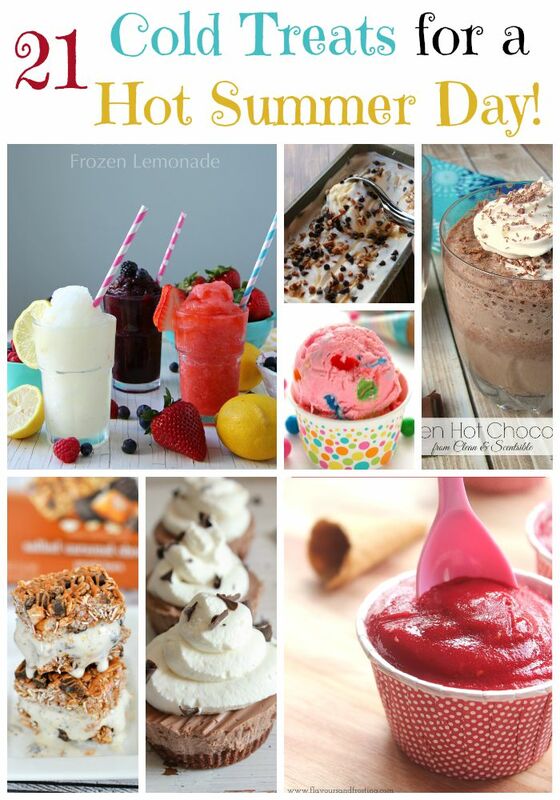 These menu cards come pre-printed with four great party treat ideas! 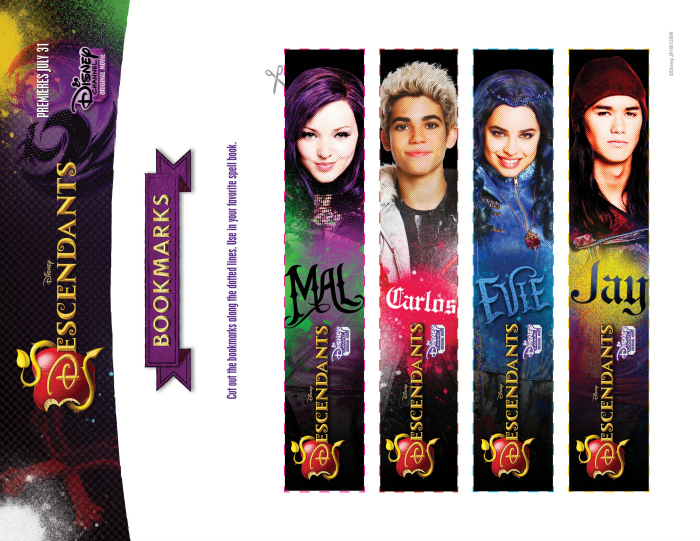 Read the prequel to Disney Descendants, “Descendants: Isle of the Lost.” These printable character bookmarks will make a great party favor! 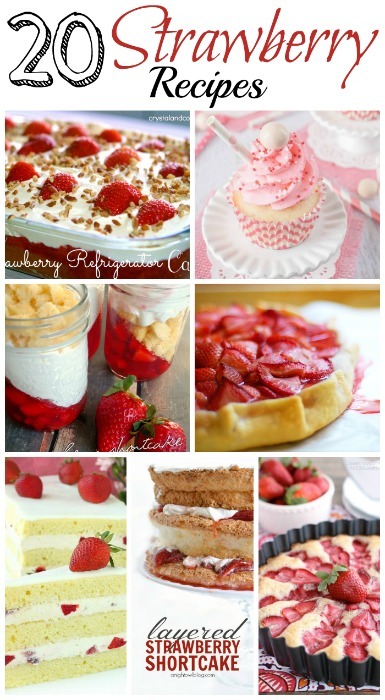 Add a toothpick for a quick treat decoration! 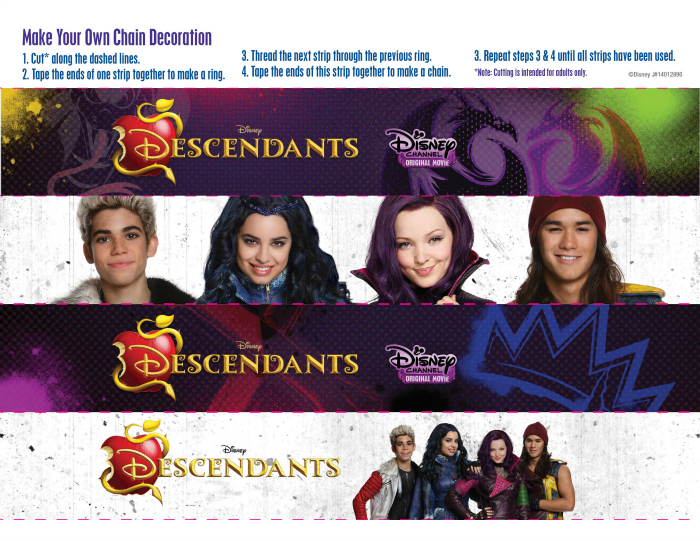 And finally, decorate the room with a paper chain of your favorite Disney Descendants characters! 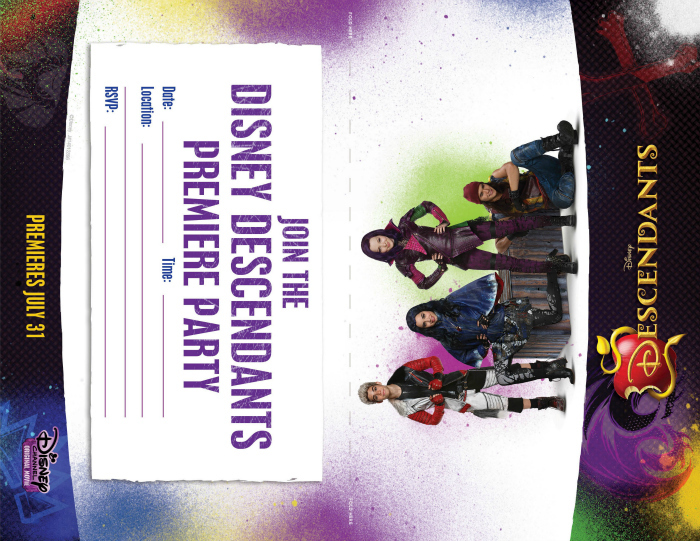 Now, Let’s Party Disney Descendants Style!